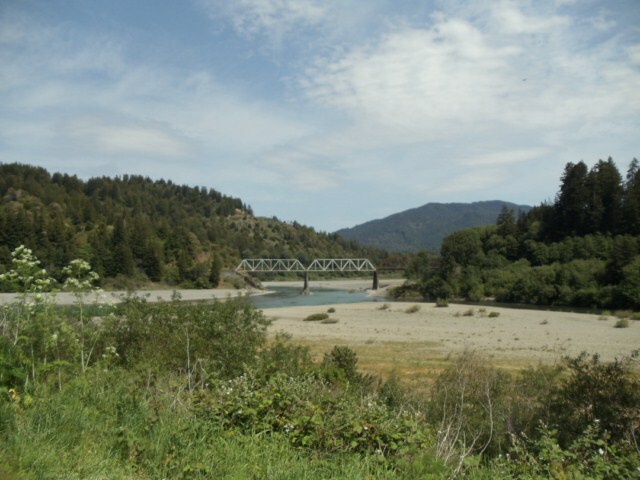 In 1876, a ferry crossed the river here. The town of Dyerville, named for its oldest resident, Charles “Dad” Dyer, was established in 1890. 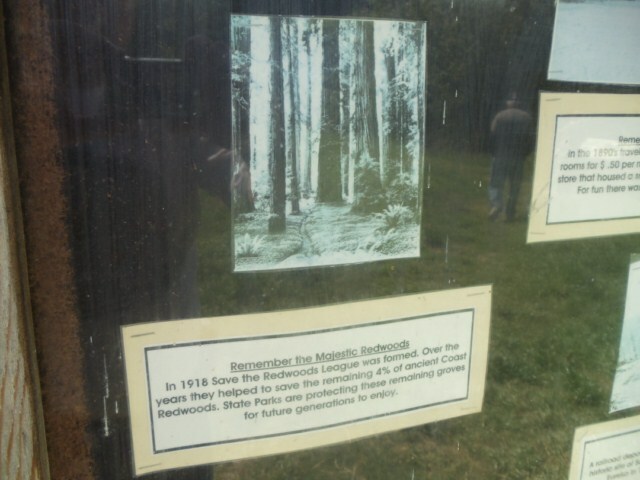 It served a growing population of homesteaders who ranched, farmed and logged the area. 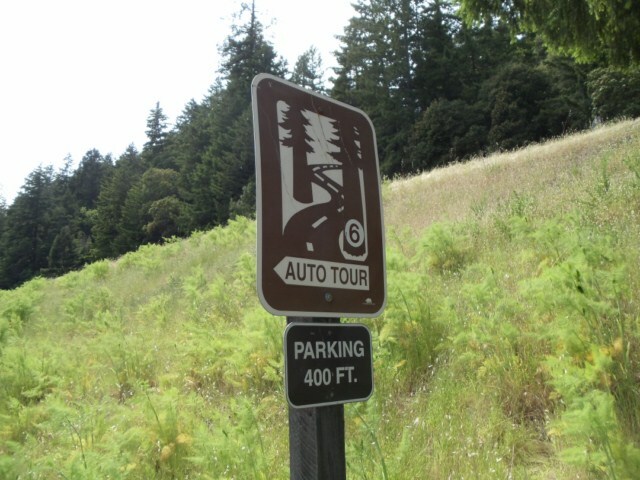 By 1920, the wagon road had become the “Redwood Highway” and the save-the-redwoods movement was well underway. Park land was acquired and a portion of Dyerville was purchased by the State which converted the town store in to park headquarters. During the early 1930’s, the Civilian Conservation Corps established a camp here. Later the camp was moved south to Burlington near Weott due to high water in 1937 . Park headquarters remained until 1955 when flood waters rose 19 feet in just one hour, destroying virtually everything. 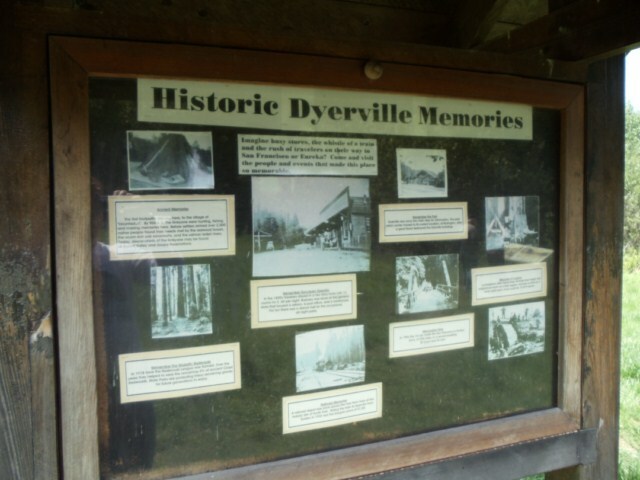 Whatever was left of Dyerville was buried during the construction of Highway 101 in 1957. Less than 10 years later the 1964 flood drowned the north coast again. Layered beneath your feet is 30 feet of fill and landslide debris.